Pumped about Jurassic World? So are we. To get you even more in the mood check out this internet gem we stumbled upon from Imgur. 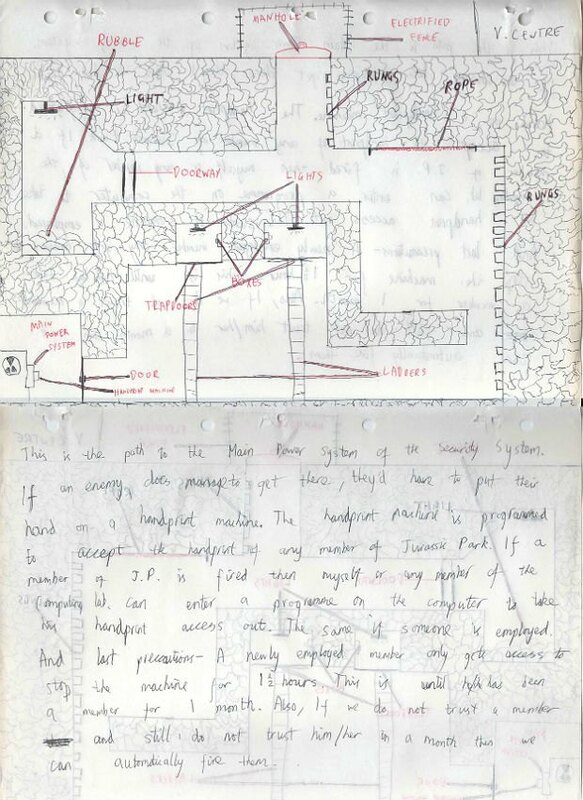 Scottish user michaelmphysics discovered his “Jurassic Park dossier” from 1994 when clearing out his cupboard that he did when he was "a wee." If we could all be so lucky. The dossier contains the “impossibly dull minutiae” of the day-to-day life of a park administrator leading up to the events of the movie. It consists of made-up documents, DNA diagrams and imaginary correspondence between himself, his friends, and his fictional colleagues. What follows is amazing. Here's some of our favorites. Please be real! 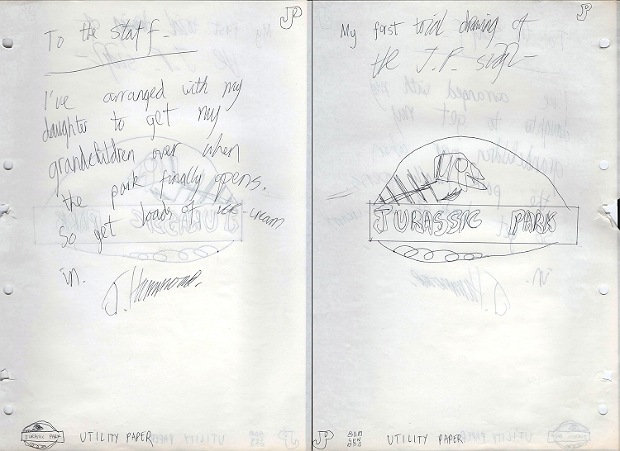 Jurassic Park dossier, via Imgur. 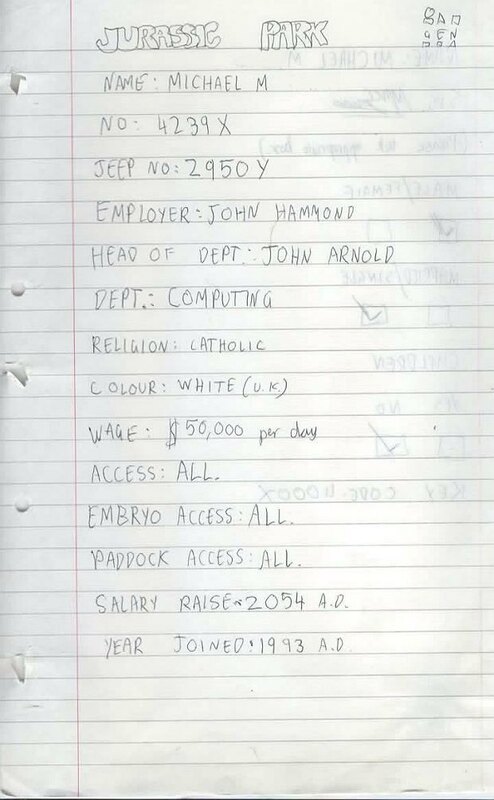 Micheal's first document detailing his employee information. Sure, he may not get another salary raise until 2054... but a day rate of $50,000 should be able to help wipe away those tears. 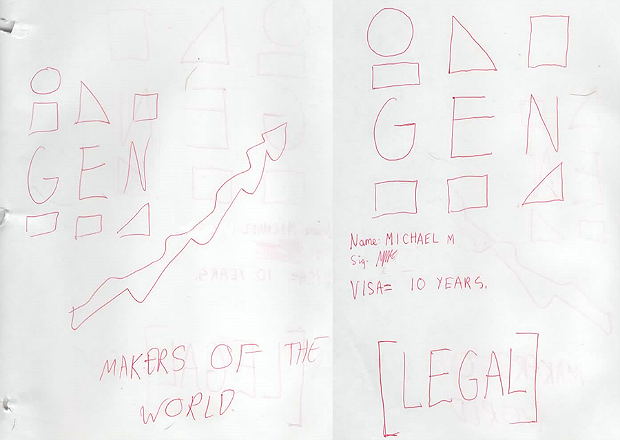 In case you were wondering this homemade visa is totally legal. Schematics of the "main power shutdown system." 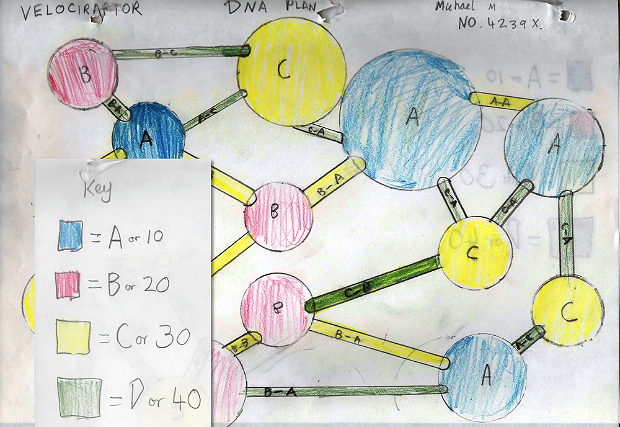 Velociraptor DNA Diagram, looks legit. 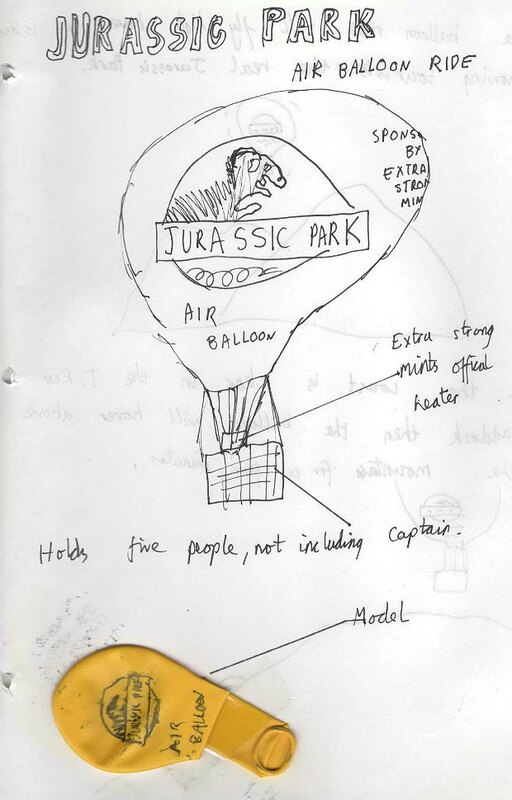 Not only does Michael do computing, he also had a hand in designing the "Jurassic Park Air Balloon Ride," sponsored by Extra Strong Mints. (He's so worth that 50K). Our favorite part is the yellow balloon mockup. No wait. 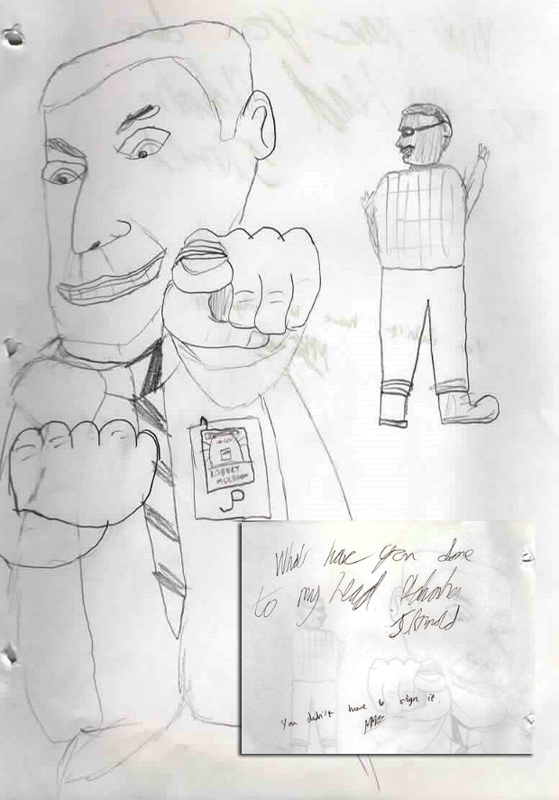 Mini-Michael drawing an imaginary co-worker yelling at him might be our favorite part of this. The project ends on an ominous note from Park Director John Hammond insisting that all park employees get ice-cream for his grandchildren who are visiting the park soon, setting the stage for Jurassic Park. For more, check out Micheal's original post on Imgur.